As always, nowadays, this is all a matter of perspective. It’s not as if H!P’s quality, or lackthereof, hasn’t been discussed at length, by far more intelligent people than myself. But these are just some things that I’ve thought about recently. I’ll be the first to admit that I look at all things H!P with rose-coloured glasses. For example, I love Momusu, no matter the line-up. I will defend them forever, simply because their music makes me so unconditionally happy. But even I know that H!P is no longer taking any risks, nor are they hiring girls that don’t fit a very specific image. When watching the Hello! Project 2011 Winter ~Kangei Shinsen Matsuri~ concert I honestly couldn’t get over it. Gocchin is taking a hiatus in 2012. 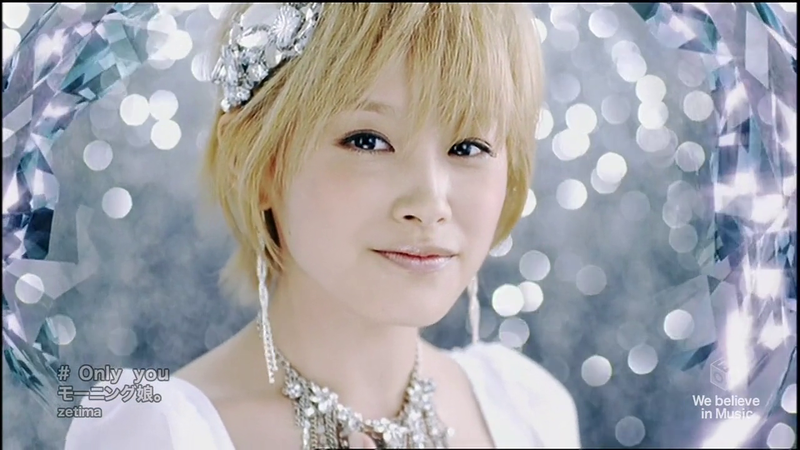 It’s ironic that I had so little interest in her when she was in H!P and now I feel all kinds of affection for her. Is that because the idol persona didn’t appeal to me and I just like her better as as Goto Maki? Granted, even at Avex, she still has a public persona. It’s not like now, suddenly, we know who she really is. How could we? It sounds like she isn’t even really sure anymore. All she knows is there is a difference between this ‘real’ her and this person we’ve all come to recognize. She is grateful for everything, but she wants to find and return to her self. I found myself feeling a bit teary while reading her letter (translated here). Having an emptiness in yourself, created by that bittersweet urge to live for the happiness of others…it would be arrogant to say that I know exactly how that feels, but I can empathize in my own small way. I’m sure many of us can. So let’s be happy for her. I’m sure, even the new fans like myself, will all be cheering her on. I know the S/mileage audition is old news now, but I’m still shaking my head about it. Everyone who reads this with any regularity knows that I like screencaps and pictures. More than a few of my pv reviews have degenerated into random messes of caps with a few blocks of writing thrown in. It’s not really my fault. H!P is a visual place, full of pretty idols who love to pose anyway and some of whom are just really unfortunate in terms of screenshots. I’ve capped a lot of pvs, but I have to say, Momusu’s Only You is the first pv I’ve capped that had this many terrible shots. I don’t know what it is. Some were hilarious and some were downright awful. I don’t know what happened. Where have we seen this before? Everyone has an idea: some parts Shabondama, some parts Ai no Sono Touch My Heart, some parts…well, frankly there’s a lot of things we’ve seen before. It’s fairly standard. But they all look pretty, huh? Seriously, make it more obvious, Tsunku. The release of Only You was understandably delayed and so is my review of it. I always get caught up in new Momusu releases, some times to the extent that I’m not sure exactly what to say about them. Nanchatte was one of those. I had no idea what to say about it because I didn’t really have a reaction to it. I can honestly say I never know what to expect from Momusu anymore. Majide, after the elegant pwn of Lullaby Game, made some kind of sense because of the youthful new members. It’s one of those bouncy singles that relied on the genki rather than the singing ability. Only You is just an out of nowhere single that I had to listen to a few times to get a handle on. As a result I have a few things to say, which didn’t necessarily have to be split up, but will be, because I couldn’t make one coherent post out of them all.